Lately I've been thinking about happiness, and I've come to the conclusion that the little things in life a lot of the time have the biggest impact. 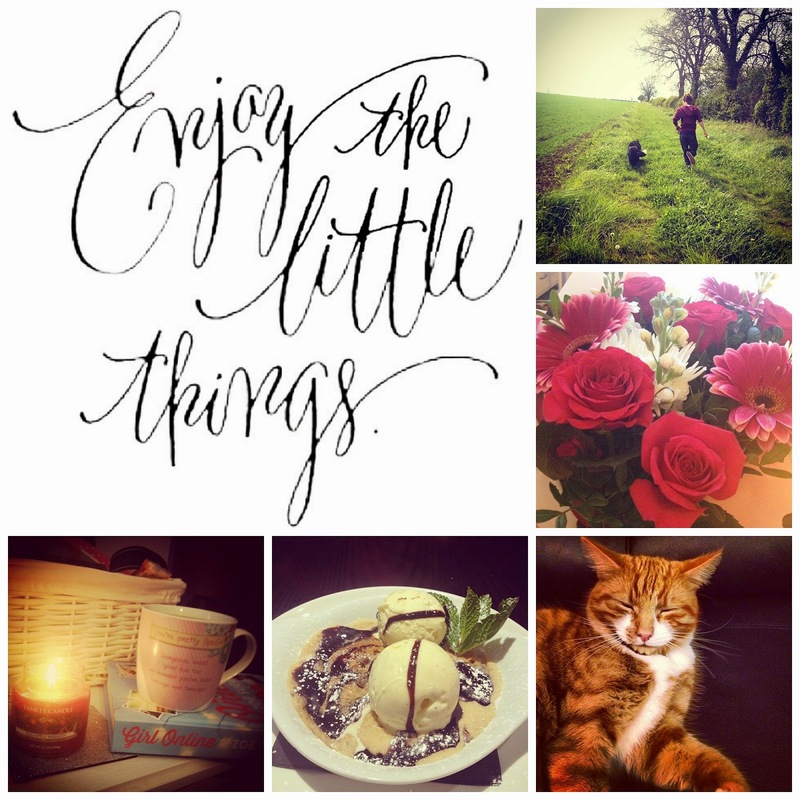 I thought I'd compile a list of the little things that brighten my day, and can make a bad day just that bit better. ♥ Tea - I don't think that there are many situations in life that a good cuppa tea can't solve. Tea is life, basically. ♥ Baths - If I'm stressed or just had a crappy day, there's nothing better than a nice hot bath. The more bubbles the better, throw in a bath bomb and light a candle. Relax and let my worries fizzle away. ♥ Books - Getting lost in a good book is one the best distraction for me and always helps me unwind. Combine a book with all the above, you've got the perfect combination. ♥ Cuddles - a cuddle is scientifically proven to lower stress levels; need I say anymore. ♥ Flowers - flowers bring a lot of life to a room and receiving them just makes me all fuzzy inside. ♥ My Cat - kitty snuggles rule and he's just too damn cute. ♥ Country Walks - sometimes it's nice to just get away from everything and go for a nice peaceful walk. ♥ Food Dates - whether it's with my boyfriend, my girls.. I just love going out for food. It's one of my favourite things to do (no joke!). ♥ This Blog - being able to get my thoughts out and write about what I'm passionate about is amazing. I'm so proud of how my blog has grown and just enjoy putting the time into it so much! So this is just a few small things that I love. It's good to take the time to think about and appreciate the things you value in your life, and I encourage you to do the same; comment below or write a blog post - I'd love to read them! Love this idea! Its nice to step back and really think about all of the little things that make you happy! Thanks for sharing! Love this idea, might even steal it in the near future ;) There is just so much beauty in the everyday things and can really help keep your perspective right!! Hi Amber! I totally agree with all of these ideas - it's sometimes the smallest things that bring you the most joy in your day-to-day life! I'm totally going to do a blog post on this one of these days - thanks for the inspiration!